Photo courtesy FreeFoto.com, licensed under Creative Commons Attribution-Noncommercial-No Derivative Works 3.0 License. The project should reduce the Air Guard’s annual emissions by 25 tons of carbon dioxide. If you’ve driven North on Route 7 through the town of Ferrisburgh lately, you’ve probably noticed it. As you crest the hill, a huge solar installation has taken shape. And some have commented that it’s shaped like the state of Vermont, although that’s not what planners intended. The Ferrisburgh Solar Farm is the largest installation of its kind in the state, providing 1 megawatt of power, creating enough power for 170 homes. The project includes 3,800 panels covering 10 acres of land. This is really well worth listening to – the developers, Brian Waxler and Ernie Pomerleau, seem to understand that there needs to be changes in the nation’s energy policy, and as they say it, they’d rather have jobs coming to the US, and using supplimental power to help ease the demand for energy in the country. 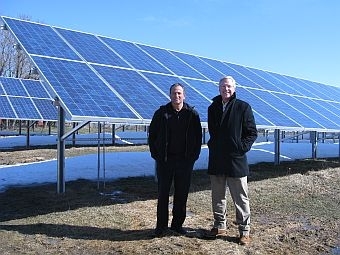 You can take a look at the Solar Farm’s website, with more detailed information about the project, over at http://www.ferrisburghsolarfarm.com. What’s also cool? You can take a look at it’s current power levels here. LED lights, those darlings of environmentalists and the budget conscious, are hitting the streets. The light-emitting diodes, which can use as much as 70 percent less energy as traditional lights, have been turning up regularly in car headlights, traffic signals, aviation lights and increasingly in home interior lighting. Now they’re taking over street lighting in Vermont. Waterbury is installing several dozen along Main and Stowe streets. They’re in Winooski’s city parking garage. A few have gone up in Burlington, and the city is toying with the idea of making LED streetlights far more widespread. Colchester has a Town Meeting Day ballot item that, if approved, would mean LED streetlights along all town roads. Environmentalists love LED lights. They use so much less energy than traditional bulbs that their increased use could delay or even eliminate the need to build more electrical power plants, environmental experts and activists say. Many such plants spew carbon dioxide into the atmosphere, which scientists agree would hasten and worsen global warming. Budget cutters embrace LED, too. The more than five dozen LED street lights are expected to save Waterbury about $3,000 year, said Waterbury Community Planner Steve Lotspeich. Colchester, too, would see savings from the LED lights and take advantage of a grant to pay for the cost of installing the new lights, said Colchester Public Works Director Bryan Osborne. I personally like this idea, a lot. It’s a great example of where shifting and investing in the short term can yield some incredible long-term savings. It looks like there’s a number of towns that will see not only a savings in price, but in the energy that they expend, easing the pressure on power sources, something that’ll be very important once Vermont Yankee is out of the picture. 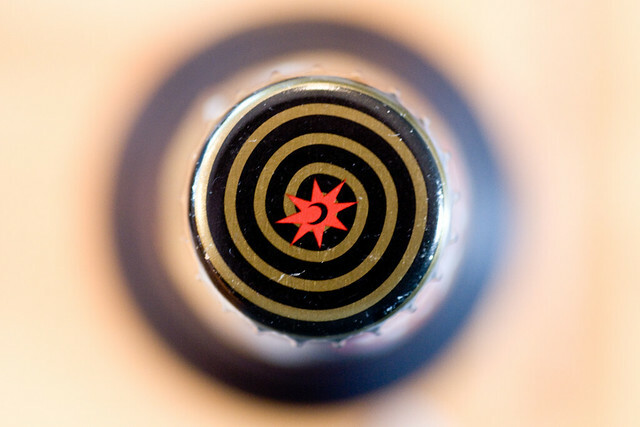 For Eric Fitch, beer isn’t just about drinking; it’s about energy. Specifically, the energy that can be produced from a brewery’s spent grain and yeast. Harnessing that power had eluded renewable energy experts until Fitch, founder and CEO of Massaschusetts-based PurposeEnergy, Inc., figured it out. Since July, Magic Hat Brewing Company in South Burlington has hosted Fitch’s technological innovation, the nation’s first digester for byproducts of beer fermentation. PurposeEnergy’s patented anaerobic digester takes the leftover grain that would otherwise be discarded and breaks it down into methane. That methane can be used to power the brewery’s boiler and other systems that run on natural gas. For years, farms have used agricultural digesters to create energy from waste. Fitch, an MIT-trained engineer who has experience with numerous startups, figured the process would work for beer waste, too. I like this idea, and I think that it’s a great example of where Vermont businesses have a good thing going for them. Vermont frugality meets modern environmentalism to come up with cost-saving methods that are reasonably easily avaliable to businesses, and using what they have to continually improve.